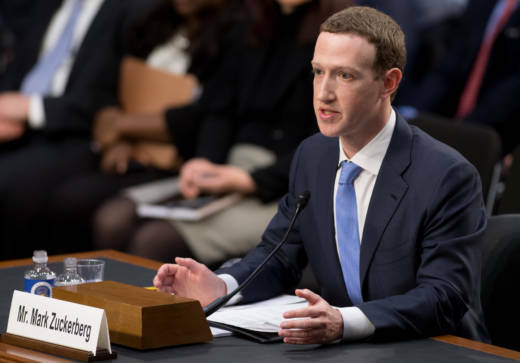 A high-profile ballot measure that would impose stringent privacy laws on companies like Facebook and Google may not be put before voters, after backers and lawmakers reached a deal late last week. Under the agreement, lawmakers have until Thursday to pass legislation similar to the ballot measure and get Gov. Jerry Brown to sign it. The proposed law, like the ballot measure, would let consumers ask California companies what personal information they collect and tell those companies not to share it. The legislation would also prohibit companies from discriminating against consumers who opt out of sharing their privacy by charging them higher prices, "except if the difference is reasonably related to value provided ... by the consumer's data." One big difference between the proposed legislation and the ballot measure? The law would be much easier to change. Backers wrote the proposed ballot initiative so that future changes to it would have to be passed by 70 percent of lawmakers, a very high bar for any law. The legislation, though, could be amended by a simple majority vote of lawmakers. Alastair Mactaggart, a Bay Area developer who wrote the ballot measure and has put $1.5 million of his own money behind it, said in a written statement that he's pleased with the legislation but remains ready to keep the initiative on the ballot if the bill is not signed into law by Thursday. Thursday is the deadline for ballot measures to qualify for or be pulled from the November ballot. "This legislation, like the initiative, would provide simple, powerful rights to Californians: tell me what you know about me. Stop selling it. Keep it safe," Mactaggart said, adding that the initiative came out of a conversation with a close friend who has also been instrumental in pushing the measure. Opponents of the ballot measure — including Google, Comcast and AT&T — haven't yet weighed in on the legislation. But in the past they've argued that privacy laws should be addressed by Congress, not on a state-by-state basis, because online companies serve the entire world, not just California. Opponents also objected to legislating the issue at the ballot box, a problem the legislation does away with. Backers of the ballot measure got a lot of attention when they rolled it out in the wake of revelations that a data mining firm that worked with President Trump's 2016 presidential campaign acquired data from 87 million Facebook users. The political pressure led Facebook — which had contributed $200,00 to a political committee fighting the measure — to step away from the opposition.